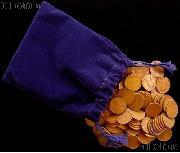 One of the most common coin collections for US Coins is for the cent. Pennies are often overlooked in everyday life, but because everyone has an abundance in their loose change, they are an excellent and very affordable way to start a collection. From the Indian Head Cents to the Lincoln Cents series, there are many different ways to begin your collection. These are the best sets to spark the interest of your kids or grand-kids. 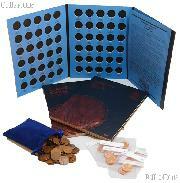 These sets are a great way to teach them about collecting coins for a lifetime of fun and entertainment!